New Zealand – Ticketing specialist Vista has been valued at $188 million. Not clear if US or NZ dollars, but as it is on the NZX bourse most likely the latter, meaning it is would be worth USD $163.4 million. Investors in cinema software company Vista’s sharemarket float will pay $2.35 for its shares, valuing the company at $188 million. The price was set following a book build open to institutional investors and retail brokers who had been told to expect the price to fall between $2.10 to $2.70. 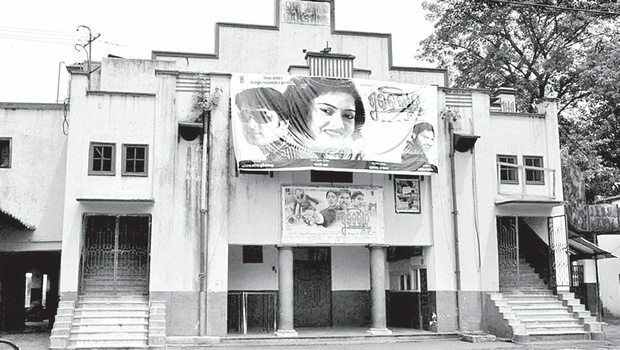 India – Yet another article noting the loss of single screen cinemas in India as multiplexes march on, with Ranchi (the city in question) having four multiplexes but only three stand-alone cinemas left. Yet it is not smooth sailing for all multiplexes, including this one in Sambalpur that has not opened, despite construction work being finished back in January. Though its operator Eyelax Films had scheduled to open the multiplex on January 26, it failed to do so as the district administration did not issue the licence. Meanwhile more reports that Reliance ADAG is looking to dump Big Cinemas. The company is said to be in talks with other multiplex majors like Inox, @PVR_Limited1 Limited and also other PE firms. Perhaps Reliance should sell them to Carnival, which is looking to acquire 3,000 screens over the next three years – a figure to be taken not so much with a pinch as a barrel of salt. Not sure if they will want screens in southern India where state governments keep setting price controls on tickets and now also concessions. The Congress government had promised to introduce uniform fares to contain the multiplex lobby in January. Kazakhstan – A multiplex operator in the Central Asian state with 17 sites has just received a private equity cash injection. ADM Capital’s funds, KCRF and KGF, members of a group of funds with the participation of Kazyna Capital Management JSC (owned by National Management Holding “Baiterek” JSC) and the European Bank for Reconstruction and Development (EBRD) announce completion of the acquisition of the controlling stake in Chaplin Cinemas network. Investments of the Funds will be aimed at expanding the project as well as developing the competitive and transparent film-distributing industry in Kazakhstan. 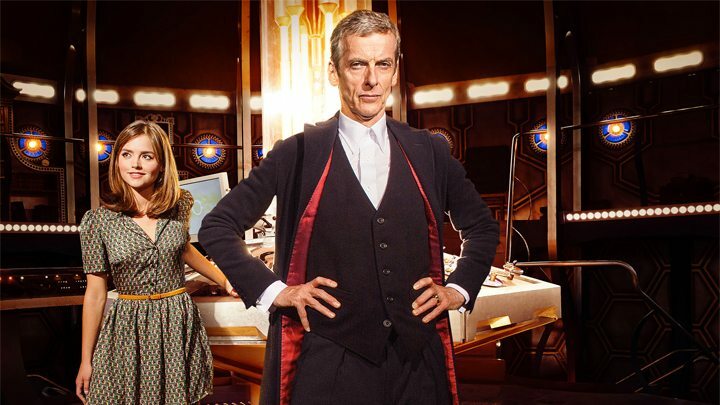 UK – The new Doctor Who series is coming to the big screen – but only to the BFI South Bank cinema in London. Unless they chose to expand it to other cinemas. Which, given the success of the 50th anniversary special, they would be mad not to. 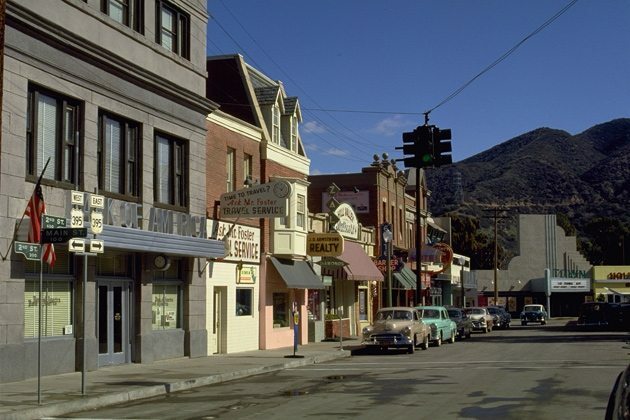 UK – An in-depth interview with Secret Cinema’s Fabien Riggall, as the company prepared for its most ambition series of screenings yet, with the re-creation of Back To The Future. His ambition is to do Chinatown and Apocalypse Now on the Thames (! ), with an open mind to doing TV shows like Mad Men or Breaking Bad as events too. How busy are you at the moment? UK – The CEA has together with Deluxe and Encore launched a new trailer to promote accessibility in cinemas. Simple but to the point. Sadly I can’t embed it, so follow the link. The UK cinema sector is a world leader in the provision of subtitled and audio described screenings for those with a hearing or visual impairment. Following the conversion of all sites to digital projection technology, all are capable of showing subtitled screenings. And over half can also provide audio description. However, despite this, take up of these screenings remains quite low, with not enough cinema-goers who might benefit from these developments seemingly aware of the opportunities that now exist for them to enjoy the latest movie releases. UK – The BFI is launching an audience development program in September for independent cinemas. Delivered in partnership with the BFI Film Audience Network, REACH: Strategic Audience Development is a workshop driven, project-based training programme for independent film exhibitors who wish to learn how to expand their audiences in a strategic manner, best utilising available resources of money, expertise and time. UK – Sound leakage at the Cineworld in Birmingham is getting DenOfGeek riled. 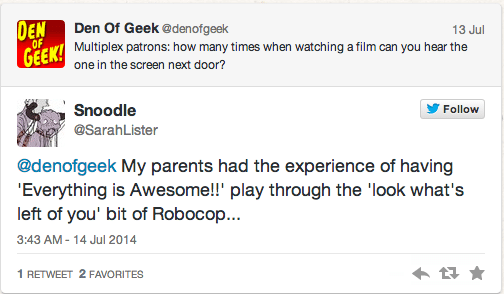 In the case of Boyhood, it was showing in screen 7 at the aforementioned picturehouse. The problem is that screen 7 is right next to screen 6. And screen 6 was converted last year, impressively, to an IMAX auditorium, with an upgraded sound system too. As such, Transformers: Age Of Extinction was playing next door, and most of us sat watching Boyhood had little doubt that it was. The sheer noise of Michael Bay’s latest was often seeping through the walls, and it was hard to avoid. USA – This article looks at how US cinemas are coping with the switch to digital; some surprisingly well. 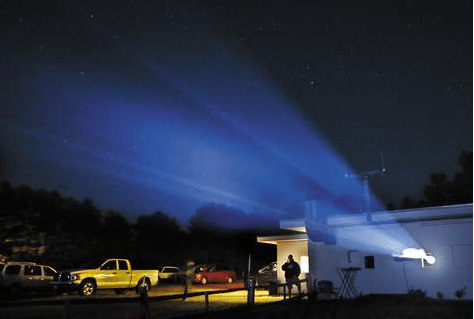 Drive-in movie theater operators say more than 200 of the remaining 348 drive-ins in the country have made the expensive conversion from film to digital, which typically costs more than $70,000. Theater owners say conversions escalated quickly in 2013 and will help keep the drive-ins in business for now, promising news for an industry that peaked in the 1950s and ’60s, then with more than 4,000 drive-in theaters nationwide. 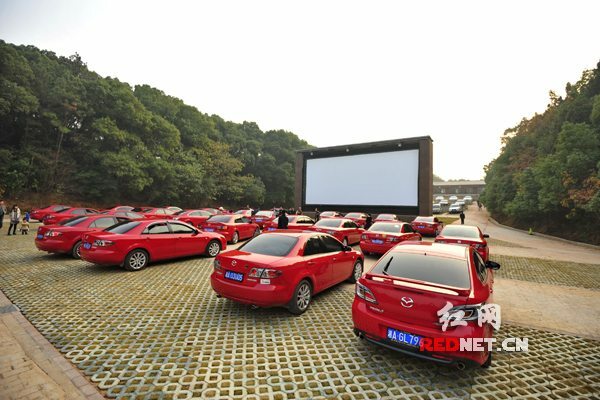 China – I remain deeply fascinated by how the concept of drive-in cinema seems to have take hold in the People’s Republic of China (to give it its full and proper name). Like this one, which only seems to cater to red cars. Or? Park the car in the southern suburbs theater B field area of 400 square meters, is a ladder lawn, there is a 8 * 18 giant curtain, a lot of car owners often go to Star City, the newest and largest automotive theater. This summer, in the form of an open-air cinema here will be open free of charge to the people of Changsha. In the evening, where fresh air, whether it is an open-air cinema and parents to relive the old days, or take a lover to experience a different kind of romance, or bring the kids to a fun parent-child party, very good. Egypt – Having written about the opening of Cairo’s new art-house venue last week, it looks like Egypt’s capital will soon have another cinemas focused on film making and a broad range of films. UK – The controversial plan to convert Britain’s leading sea-side town’s old theatre into a cinema has been given the go-ahead by the local council. Expect appeals. Brighton councillors have approved plans to convert the city’s grade-II* listed hippodrome into a £20 million cinema house, despite calls from campaigners to turn the building back into a live performance venue. 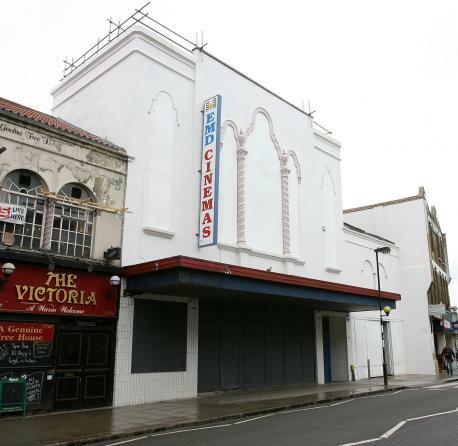 UK – Approval has also been given to the less controversial (but not without detractors) cinema plan for north London’s Kentish Town. 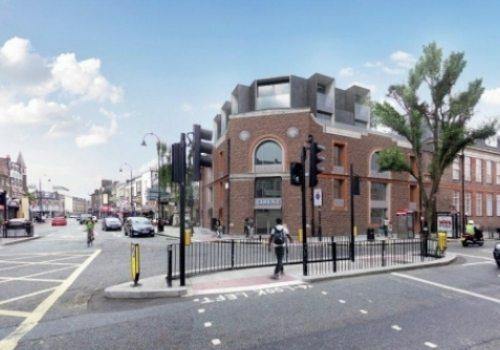 The planning permission was granted for the former North London Polytechnic building on the corner of Kentish Town Road and Prince of Wales Road. It means exciting plans for a new cinema and arts centre – revealed in a New Journal exclusive earlier this month – have moved a step closer to reality. The project to create a venue similar to the celebrated Tricycle in Kilburn to NW5 is being pushed by famous casting director Susie Higgins and her cousin, the Leaving Las Vegas director Mike Figgis. UK – Empire will be opening a nine-screen multiplex in the east of London late this autumn. 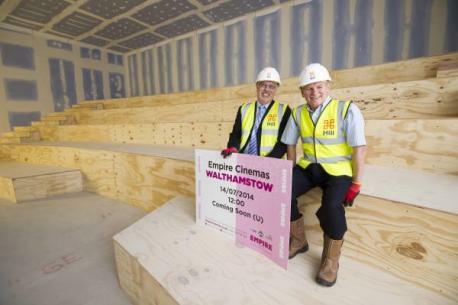 Work has begun to fit out the nine-screen multiplex at the former Arcade site in Cleveland Place, Walthamstow, and it is scheduled to open on November 20. It will be the first time in more than a decade that people do not need to travel outside the borough to the cinema. The re-opening of an historic cinema for the community took a major step forward last night after funding was agreed to purchase the building. Waltham Forest Council’s cabinet approved undisclosed funds to push for the purchase of the grade II-listed former EMD in Hoe Street, Walthamstow, from owner Universal Church of the Kingdom of God (UCKG). UK – A one-time United Reformed Church has been converted into a community since, with 76 seats from a nearby multiplex. 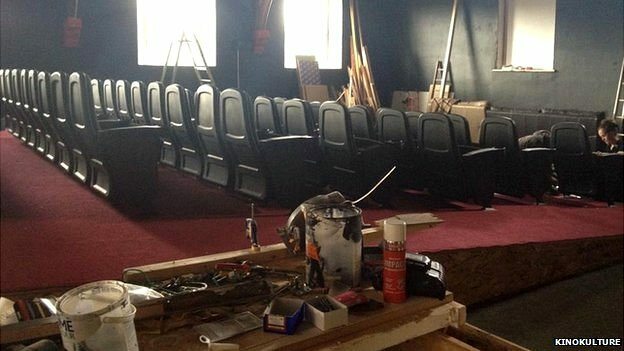 A new cinema opens in Oswestry later, after more than five months of conversion work by volunteers. Ian Garland and Ruth Carter led a team to convert the old Kingswell Chapel, formerly used as a youth centre. UK – At the risk of being very UK-centric in today’s Cinema Opening/Closings section, here is one approved in Bromley. A plan to develop a new cinema and restaurants in the town centre has been approved. Bromley Council’s Development Control Committee agreed to the development on July 2. 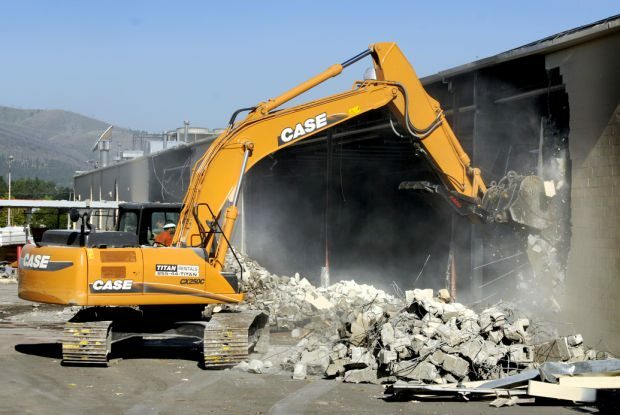 USA (MT) – This cinema is being torn down to make room for more retail units. The old Village 6 Cinema on South Reserve Street is slated for demolition this summer and the property’s new owner has plans for redevelopment. USA (MI) – But this Regal cinema opens in what used to be a retail space – in a town with intense cinema competition. Lansing’s newest movie theater officially opens today. 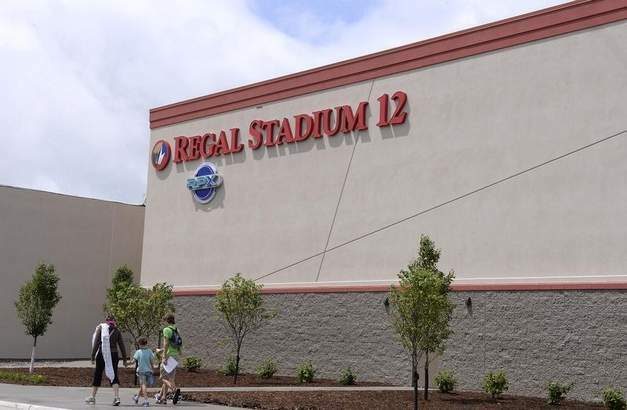 The 12-screen Regal Cinemas multiplex, part of Knoxville, Tenn.-based theater giant Regal Entertainment Group, will show first-run movies after three days of charity previews. 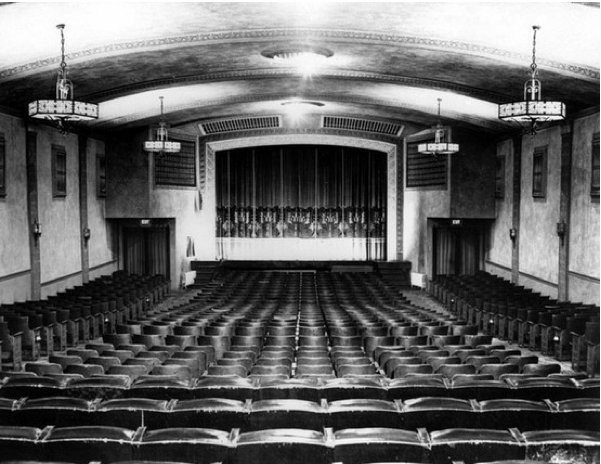 The 50,000-square-foot theater was converted from a former Mervyns department store at the north end of the Delta Township shopping mall. 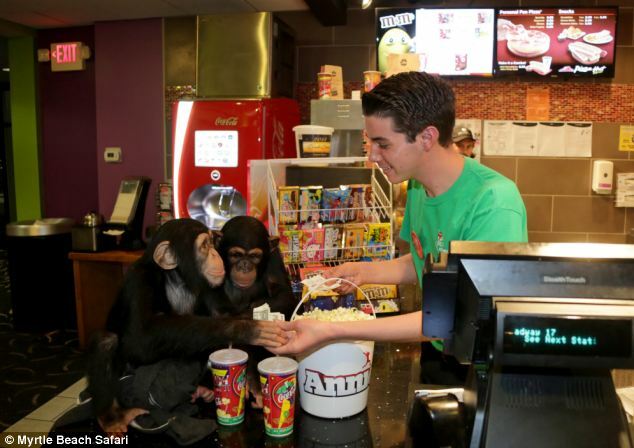 It is very hard to resist the obvious joke about ‘monkey business’ but the visit by these two primates to see the new Planet of the Apes films is a given story to end with. The chimps even opted for popcorn over nuts. 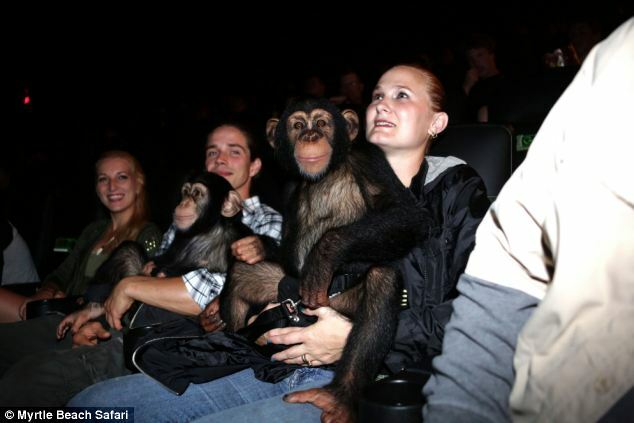 These two-year-old chimps, Vali and Sugriva, were taken to the opening night of the new blockbuster, Dawn Of The Planet Of The Apes at their local cinema. They were able to enjoy the full cinema experience at the BigD Auditorium at the Carmike Cinema, in Myrtle Beach, South Carolina, including buying their own popcorn and juice.